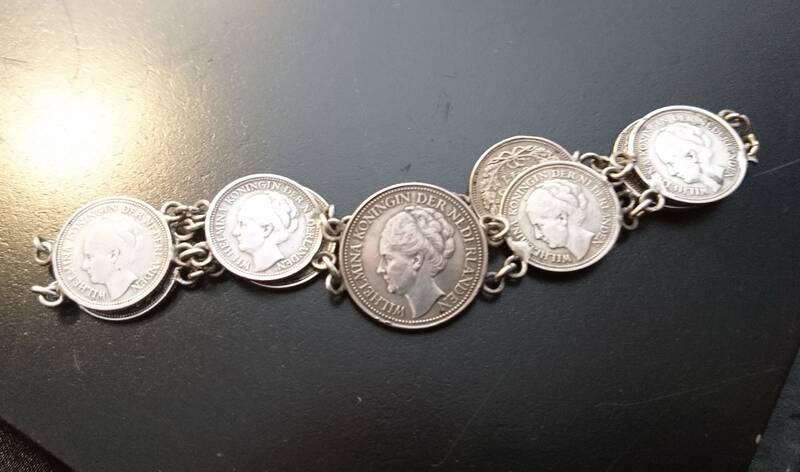 A gorgeous vintage silver coin bracelet made from real Dutch silver coins featuring Queen Wilhelmina. 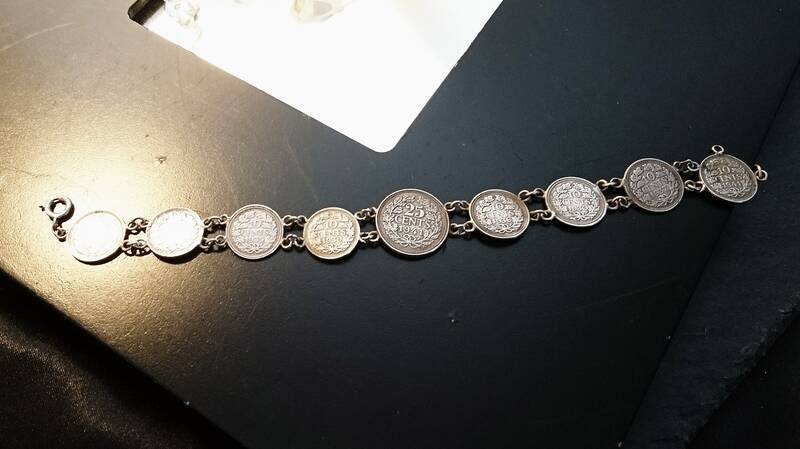 There are 9 coins in total, 8 small and one large which sits in the centre by the top of the wrist. 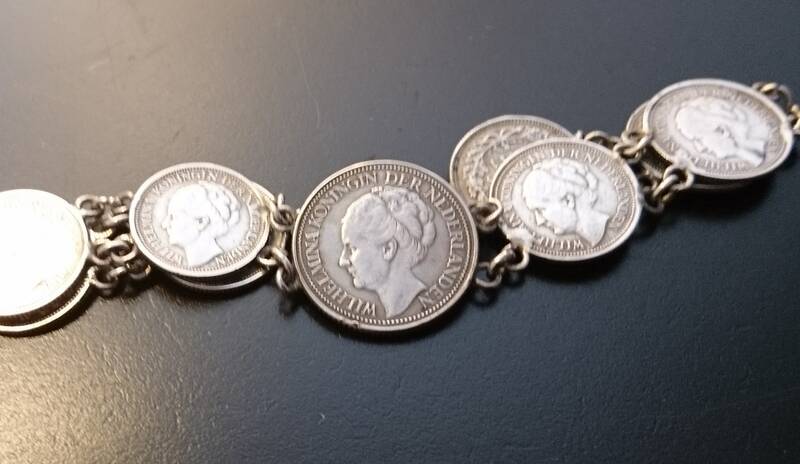 The clasp works well, it has been replaced later on and is made from a silver tone metal. 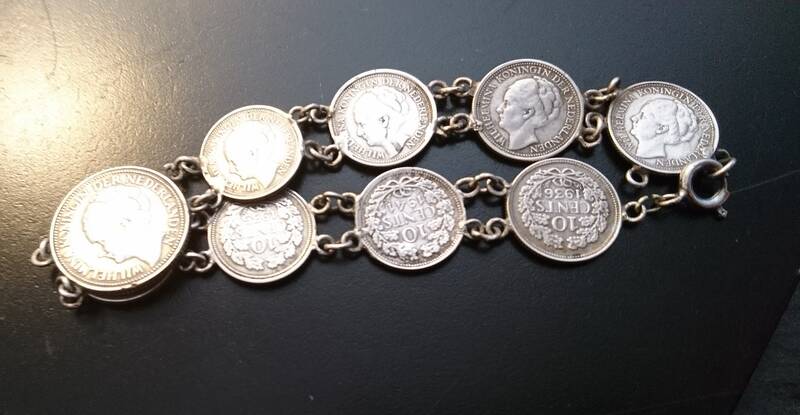 The coins have a lovely patina and all have a varying degree of silver, the dates range from 1930-1941. 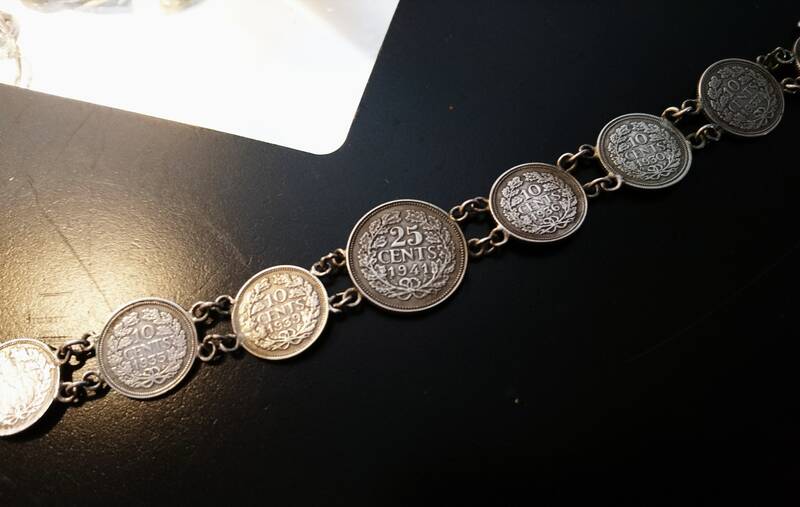 A piece from the era of WW2 and in very good vintage condition, a lovely little collectors piece and a wearable one too! It is approx 7" length in total when laid flat.